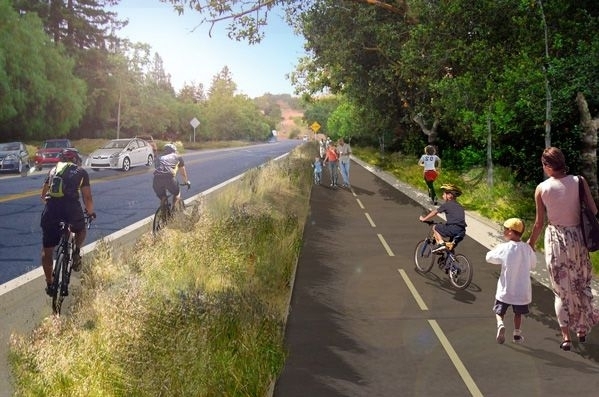 According to Palo Alto Weekly, Stanford University will soon break ground on a new series of bike and walking trails around its campus designed by Page/BMS Design Group. The 3.4-mile “Perimeter Trail” will stretch along sections of El Camino Real, Junipero Serra Boulevard, and Stanford Avenue, providing new connections to local parks, schools, existing trails, and the nearby foothills. The project, being implemented by both Stanford and the city of Palo Alto, is being funded by a $4.5-million allocation from Santa Clara County. The scheme will both introduce new bike and walking paths (including green bike lanes in heavy traffic areas) and upgrade existing trails, sidewalks, and landscaping. 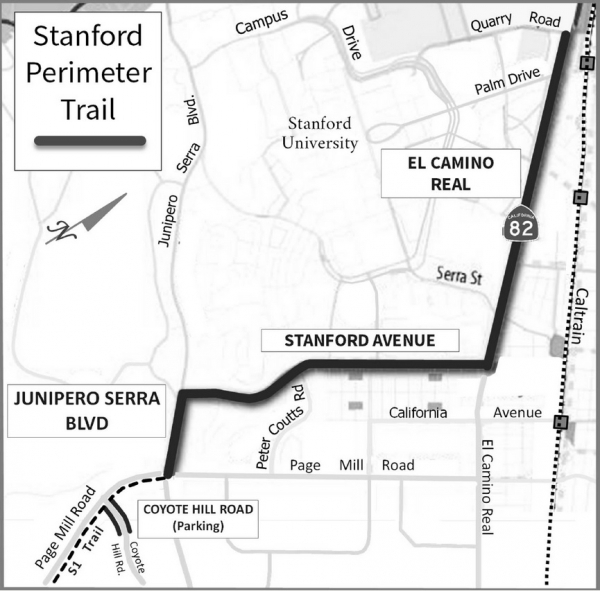 According to Stanford, most of the trail is expected to be complete by this fall.